When it rains, it pours. 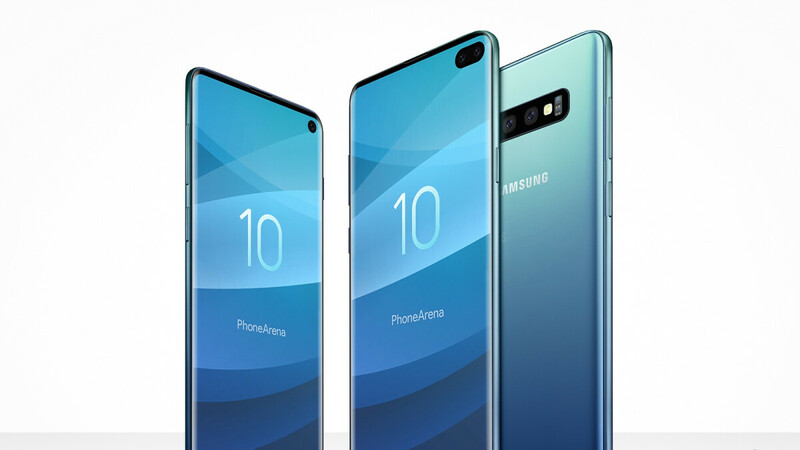 Of course, it’s been pouring confidential information about the fast-approaching Galaxy S10 lineup a long time now, with the floodgates bursted wide open yesterday as two different and equally reliable sources revealed the sharpest product renders yet. The recent onslaught of rumors, visual leaks, and “confirmations” of major details is showing no signs of a slowdown, as the folks over at MySmartPrice claim to be in possession of the official Galaxy S10, S10+, and S10E pricing info for European markets. Technically, we’re talking about one specific European region here, but the differences between various countries using the euro as their currency is typically minimal. That being said, the newly rumored price points, which appear to have been unearthed by aspiring tech leaker Ishan Agarwal, are not 100 percent identical with the numbers reported in Italy a while back. If you’re not particularly excited about the company’s “entry-level” GS10 model, then you probably don’t know its “deal.” Whether it will ultimately be called the Galaxy S10E or Galaxy S10 Lite, this bad boy is widely expected to pack the same state-of-the-art processor as its bigger, more glamorous brothers. Namely, the Exynos 9820 in “international” markets like the Netherlands, and a top-notch Snapdragon 855 stateside. That makes the Galaxy S10E a very interesting value proposition at a rumored price of €749 on the old continent with 6GB RAM and 128GB internal storage space also in tow. Previously, the 5.8-incher was expected to cost €779 in the exact same configuration, with color options now said to include white, green, Prism Black, and Canary Yellow at launch. A snazzy blue flavor could come a little further down the line in select markets. There’s obviously no point in directly converting the Euro price tag to try to guess how much this phone might cost in the US. If history is any indication (and it almost always is), the Galaxy S10E should set you back around 750 bucks in the land of the free. Not too shabby! Two variants, four paint jobs, a 6.1-inch display with a circular cutout housing a single selfie camera, three rear-facing shooters (up from two on the S10E), a 3,300 mAh battery (probably), and a starting price of €899 in the Netherlands. That’s with 6 gigs of memory and 128GB local digital hoarding room, while an upper-tier 8/512GB configuration could fetch as much as €1,149. That sounds bad, but it’s also slightly better than what was previously speculated. It’s reasonable to expect Galaxy S10 US prices of around $900 and $1150, which would understandably exceed the $840 and $960 recommended tags of the Galaxy S9+ in 64 and 256GB versions respectively. The upgrades are obvious and substantial, even though the S10 is set to come with a slightly smaller screen, and possibly, a smaller battery too. Remember the controversy Apple generated by charging north of 1,000 bucks for the iPhone X? Samsung should be prepared for a little online vitriol of its own if the maxed-out Galaxy S10+ variant is indeed looking at an official European price of €1,499. Granted, that’s a spectacularly powerful and eye-catching phone we’re expecting, reportedly packing 12GB RAM and 1TB of internal storage space while rocking a special ceramic design in black and white hues. Keep in mind the iPhone XS Max costs $1,449 stateside with only half that digital hoarding room, while the 1TB Galaxy S10+ variant could go for just 50 extra bucks or so. Meanwhile, those interested in the screen real estate of the 6.4-inch Galaxy S10 Plus, its dual front-facing camera setup, and extra-large 4,000 mAh battery, but not obscene amounts of memory or storage, can probably get ready to spend anywhere between $999 and $1,249 in the US. That’s how we think the €999 and €1,249 European price tags will actually convert once various taxes are eliminated. The former will be enough to get you a 6GB/128GB ultra-high-end phone, while the latter will purportedly upgrade you to 8 gigs of RAM and 512 gigs of storage. Pretty fair, don’t you think? I agree with you with Samsung prices. But in a few months Samsung phones always get a price drop. Apple will always be worse. No fast charger and no headphone adaptor in the box, Expensive to repair the glass on the front and back. At least if you buy an iPhone,the price stays the same. Its bad when you pay that kind of money for a Samsung cos they get cheaper and cheaper every month. Even if you want to wait a few months to get a good discount, still not good, cos you will start to hear rummors about the note. Exactly. That's why my last Samsung it's my note 8. Cos they cost too much and you are enjoying your Samsung flagship only for 6 months or less. You can be on a Note and be envious of the next S series from Samsung. @georgio I'm confused with your statement. Gadgets, as an economic rule should lose monetary value over time because newer technology will come out. Saying that apple product 1 with fixed price after a year means that buyers are being duped because the new technology apple product 2 is supposed to only have small price increase but instead, got exaggerated mark-up because product 1 did not have any price drop. That is one hell of an anti-consumer act if you ask me. Apple doesn't have much competition with their products( It's an iOS device only produced by Apple), that's why they can keep the price high. In android world it's too much competition and they have to cut the prices ,or bring a flagship every 6 months. Your proud to pay the same price for a phone that is 8months old? Or you can wait another few months to get the new one. That's the way it goes with Apple... I would like to get a damn discount as well, but it's not happening. Not were I live here in Europe. Not anymore Apple had to do a lot of deals with th 3 thy have now. Selected manufacturer top-end Android phones are. You can still buy half-price top-spec Android phones from Poco, Xiaomi, OnePlus, even Honor. What can you buy as a cheaper alternative to iPhone XR? A 2 year old refurb model? In my country, iphone xs max 512gb is $1,847 tax included. The 1tb s10+ have a hunch price of €1,499. I might get the s10 lite because I still want the note 10. These prices are retarded, along with everyone stupid enough to defend them. I bought the newest flagship upon release every year. NO MORE. The $350 I paid for my S8 is the last dime Samsung will get from me for YEARS. S10 with just 3,300 mAh battery What is it 2016. That is also a terrible price point. In this year I will give a chance to Nokia or Sony. Oh wow... I'm an exclusive Sony customer and this year I'm thinking of switching to Samsung or skip the spring collection and check the Sony autumn flagship. The XZ4 seems to fall short in everything that feels modern, no in-display fingerprint scanner, no bezeless design etc. Also it looks like it will be a huge handset, taller than I can accept. It will be also very difficult to get tempted by the S10 though, because I find it very hard to accept heavy custom Android interfaces and I'm afraid I won't be able to turn a blind eye to Samsung's "enhancements"
These prices have gotten outrageous. I’m just wondering what the Note 10 will cost. You do get a lot more with Samsung for the money vs Apple, but damn these prices man. If I buy this year, I’m waiting a few months for the prices to drop. I am betting right at 1,200 But my money is setting amd waiting, lol I will check out the foldable phone also. The only S10 worth buying is the S10E, but only if it has the same main camera (AND lens !) as the S10 and S10+. I mean, really, why pay 250-500 EUR more for 2 extra mediocre cameras and 500 mAh more battery which actually leads to identical battery life due to large screen ? It has to be said that the iPhone XR price in Europe was 849 EUR, so Samsung seems to avoid copying Apple this year, at least on this. If these are true, Samsung Galaxy S sales will flop, just like 2018 iPhone top-end. Time to buy Chinese.